Those beach towels are too cute!!! Amazing lamps! Enjoying your blog! Those Kate Spade cards are a must!! Loving those beachy towels, knot rings and that leather portfolio. Also, mildly emotional about your attendance at Rachel Zoe's Preview Party! What is #10? I love that color!! 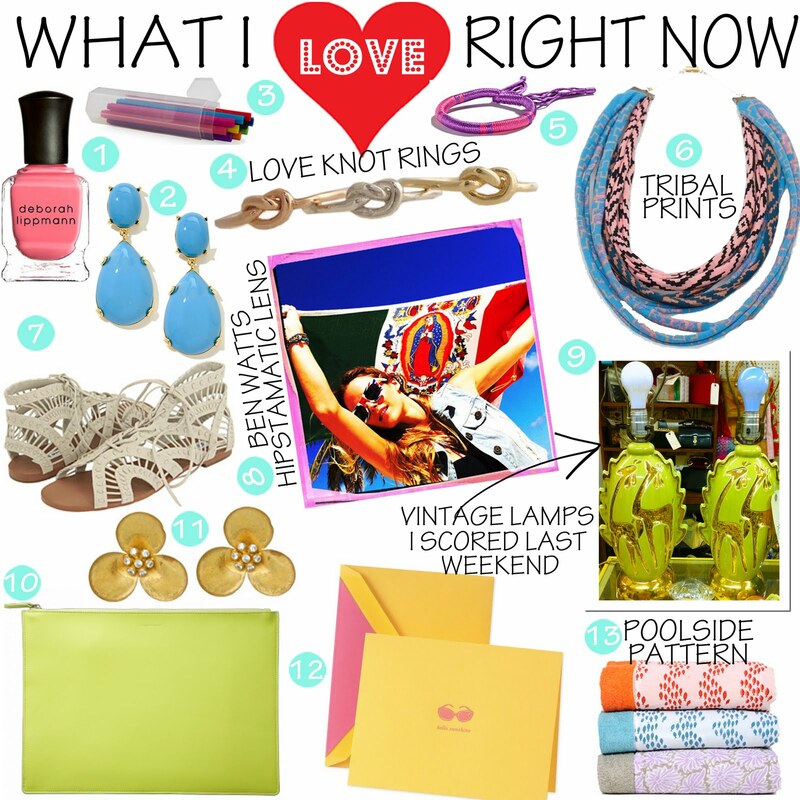 Loving the tribal necklace and those beach towels!! Those blue earrings are insane- gorgeous list! I was just at LULA B's and scored a set of black glasses for our new office- I love that store!